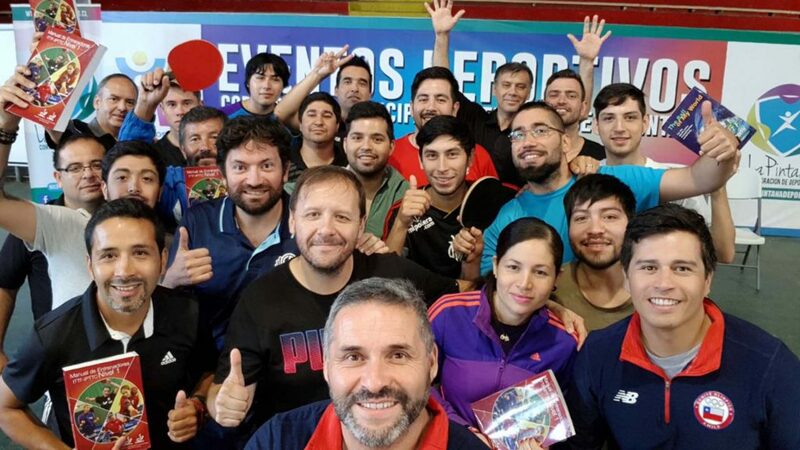 Located in the metropolitan region of the Chilean capital city of Santiago; earlier this year, La Pintana was the home for an ITTF/PTT Level One Coaches Course. 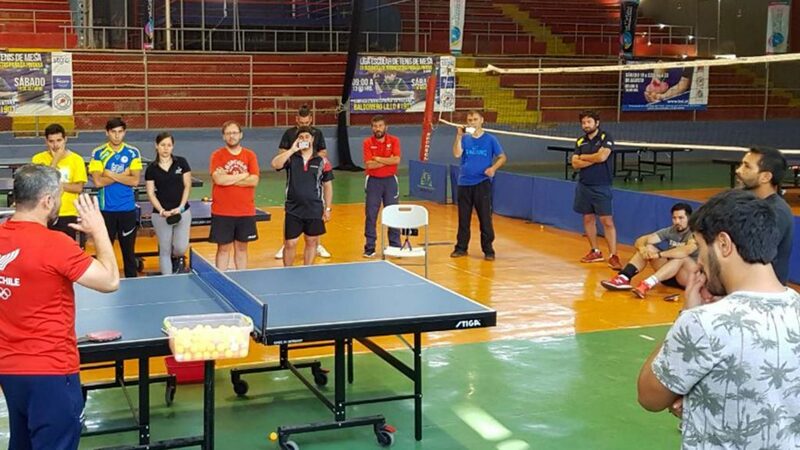 Organised under the auspices of the ITTF Development Programme and supported by the Chilean Table Tennis Federation, proceedings began on Wednesday 24th January and will conclude on Sunday 28th January. A total of 21 students attended under the direction of José Luis Urrita, a most active course conductor who led a most comprehensive itinerary. In common with all similar courses, the Para element proved most popular with José Luis Urrita underlining the necessity to treat all players equally, whatever the ability or disability. Overall a very detailed and comprehensive schedule was concluded. José Luis Urrita paid great attention to basic coaching technical concepts- Also, he introduced physical education into the lessons whilst making sure the students were well versed in the rules and regulations of the sport. Overall a most successful course and there was a distinguished guest; Henry Reimberg, President of the Chilean Table Tennis Federation was a most welcome visitor; his presence proved a motivational factor.